Nail-ready for CNY @ Mynte Fingers! / IISJONG | Singapore-Australia Lifestyle & Travel Blog IISJONG | Singapore-Australia Lifestyle & Travel Blog: Nail-ready for CNY @ Mynte Fingers! Nail-ready for CNY @ Mynte Fingers! The Chinese New Year is just next week! You ready to show off your nails yet? Once again, my claws are beautifully done by ( ˘ ³˘)♥ Mynte Fingers! ♥ EVERY DAY someone will come up to me and compliment them, asking me where I got them done at. 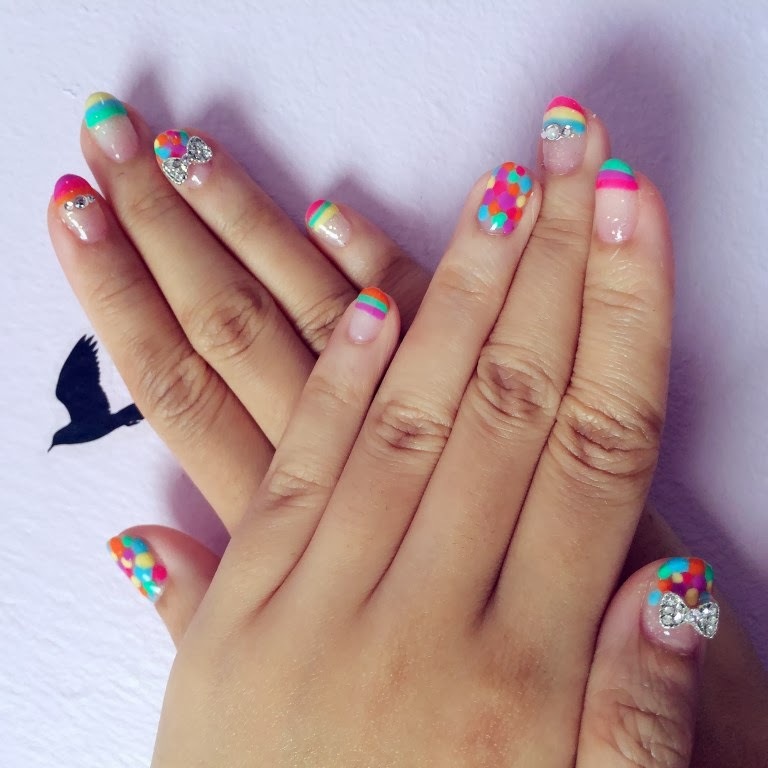 The nail art this time is same same but different from the past - colourful in a whole new way! It looks way better in real life, to the point where I cannot stop admiring them. Sounds creepy, but yes I stare at my nails and sigh at how pretty they are. 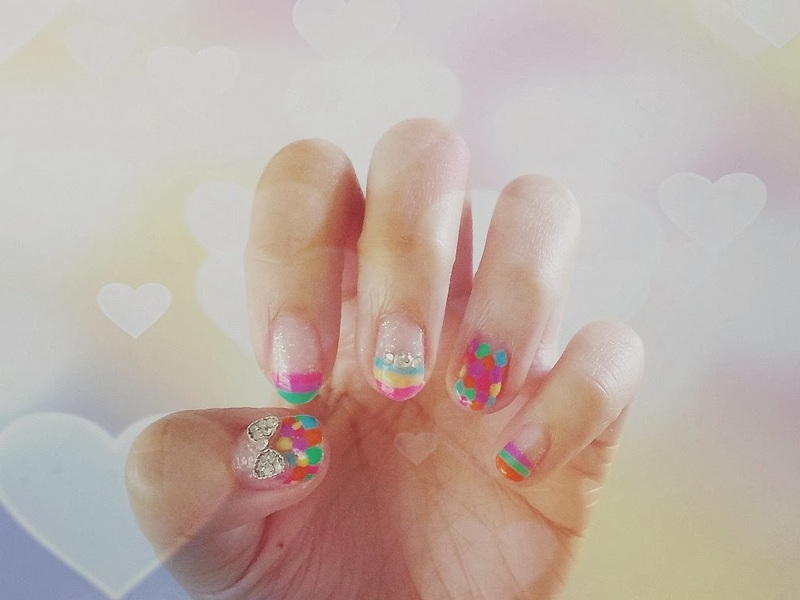 If you want to do your nails in time for CNY, HURRY! Time slots are out, and they're running out fast. Nail art, stickers, and embellishments are of additional charges. For discounts and promotions, you can check with Mynt by quoting my name "Joey Ong"! This CNY period, you'll have the surcharge waived off. ☆*･゜ﾟ･*\(^O^)/*･゜ﾟ･*☆ Hurry and book now!